If you’re moving to Amsterdam or just holidaying in Holland then you might be inclined to take your car with you, if that’s the case then you’ll want to plan ahead and look at some potential services to help you with the move. If you’re planning to drive the car to Holland or you intend to hire a car delivery to Netherlands transporter then you should make the following preparations before committing your car. Documents: If you’re permanently (>12 months) exporting a car then you will need to get the relevant form from the DVLA and then reregister it with your local Dutch authority (which you can find at www.douane.nl). Any EU licence will be valid in the Netherlands for 10 years from its issue date, after that period you should change to a Dutch licence. Insurance: Driving your car between the UK and Holland requires it to be insured, but when the car is in the Netherlands the minimum cover is third party liability. Unlike the UK the owner of the vehicle is always responsible for it, regardless of the driver. Inspection: You will need to arrange with the RDW for a vehicle inspection when importing any car into the Netherlands. The waiting list can be up to 2 months so it pays to book ahead of your move. You’ll need identification and the vehicle registry document as well as any other relevant paperwork. Tax: If you’re taking your car abroad for less than a year then it will need to stay under UK road tax. Permanently importing a vehicle will require you to pay BTW and import duties to the Road Traffic and Transport Authority (RDW). Parking: Dutch parking spaces tend to be designed for smaller European cars, so if you’re intending to import a large 4x4 then you could face more than heavy taxation, you might be unable to park it! Before exporting your car you should check it to make sure it’s fit for transport. Take photos of its condition so you can compare them once it arrives in Holland, also ensure that tyres are inflated to the correct pressure and that the vehicle is running properly with adequate fluid levels. These checks will help make sure that your car delivery comes off without a hitch. Essentially there are two ways to car transport to Netherlands: you can either do it yourself or with a car transport service. DIY: Driving to the Netherlands including ferry travel will take the best part of an afternoon; you can take the ferry from Harwich to the Hook of Holland or travel from Dover to Calais making an excursion through France and Belgium. Trade plate drivers: A popular service with car auctions involves having a designated driver bring the vehicle to the auction winner. Driving on “trade plates” means that you don’t have to pay road tax, but buying a new car will subject you to Dutch import taxes. 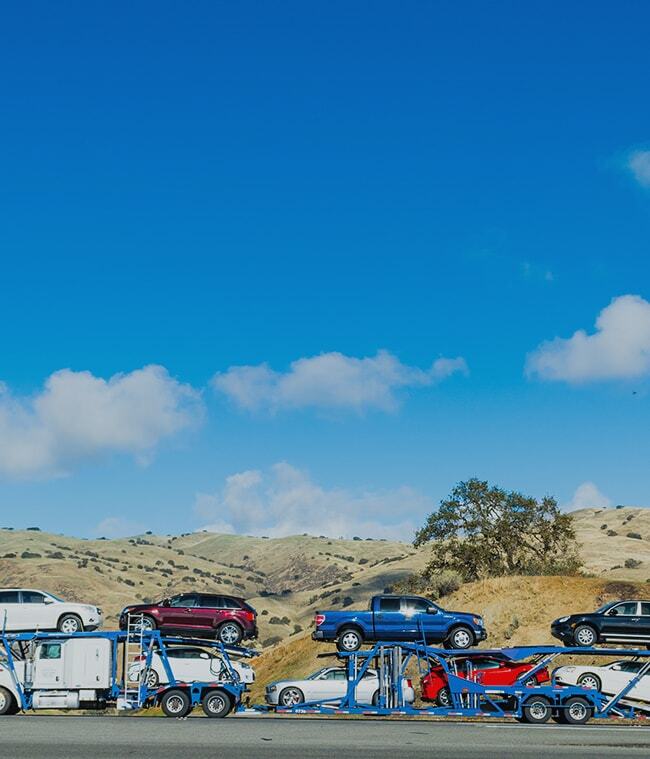 Single transporter: Hiring a small trailer to transport your car is the most expensive method of car export; however, it can be useful for transporting decommissioned cars or new vehicles which you don’t want to add additional miles to. Classic cars are also often transported by covered transports to ensure that they avoid damage on the trip. Multi car trailers: Large commercial-style transports can be an inexpensive way to import cars to Holland, because they carry multiple vehicles at once, they charge less than an individual carrier. The downside to this type of transporter is that they can’t offer door to door delivery due to their large size, meaning that you’ll have to pick it up from a depot out of town. Shipping options: Other than driving the car onto the ferry you could also opt for containerised transportation. This is the most secure and expensive mode of shipping a car, so should probably only be used for transporting extremely valuable vehicles. If you decide to hire a car transport to Netherlands firm then you’ll want to compare prices and find the best deal, however, getting quotes from numerous firms can take a while given all the variables of foreign car transport, which is why we’ve made finding a Dutch car transporter easier! Listing your car delivery to Netherlands request on Shiply will allow thousands of delivery drivers to see and quote for your car transport. By comparing different companies on their cost and reviews you will be able to find a transporter that suits you. -When your car arrives make sure you check that it hasn’t been damaged during its trip, if it has then you should take it up with the transporter. Once your car has safely made it to Holland there are a few things you should remember. As noted, new cars are subject to different duties to used ones – taking your registration documents to the customs should be your first port of call. -Road taxes are paid to the Bureau for Motor Vehicle Taxation after you have passed you inspection. If your car is new you will have to pay BPM but if it’s older than 6 months and you have lived outside the Netherlands for more than 1 year then you can be exempt from this tax. -Motorways in Holland usually charge a toll. -The Dutch are stricter on blood alcohol levels than in the UK. When your car transport is completed and you’re happy with the service please leave feedback for the transporter on Shiply, this will help other users who are looking for car transporters to Holland in the future.